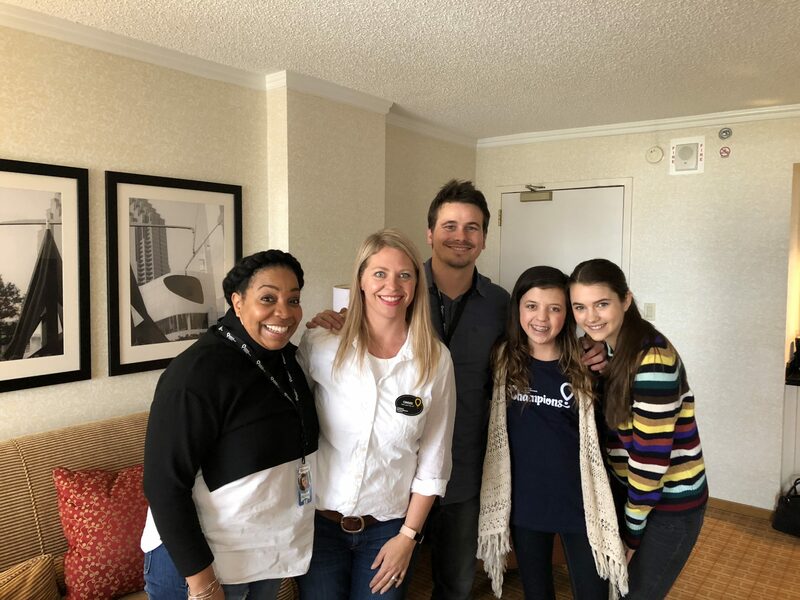 Cast members from Kevin Probably Saves the World, Jason Ritter, Chloe East, India de Beaufort, and Kimberly Herbert-Gregory joined Extra Life on Saturday, November 4 to play games and heal kids at Children’s Miracle Network Hospitals. Local Ambassador for Children’s Healthcare of Atlanta, Olivia joined the cast for their game day event to play games and talk about the important work of children’s hospitals. Olivia was an official correspondent for the Extra Life team and interviewed the cast on why Extra Life is important to them. Extra Life is a Children’s Miracle Network Hospitals fundraising program within the gaming community. More than 50,000 participants united this year to play games for 24 hours and raise needed donations for their local CMN Hospital. More than $7.3 million was raised at the end of Game Day on November 5th. All funds raised stay local to benefit the participants Children’s Miracle Network Hospital. Donations are used to purchase life-saving equipment, provide charitable care, patient programs and more. Each hospital is given the funds un-restricted to use for the most immediate need facing local patients. The need for continued donations is critical and helps fill the gap between what medicaid and insurance reimburse for treatments. While November 4 was the official Game Day for Extra Life, anyone who wants to play games to heal kids can sign up to participate at EXTRA-LIFE.ORG from now through December 31.